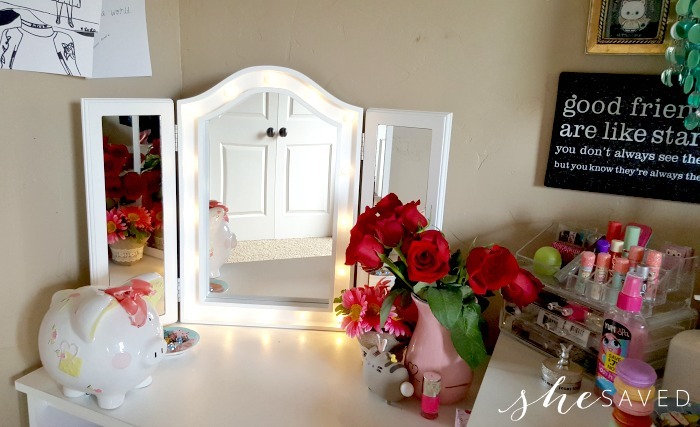 Right now, you can save $10 on the Tri-Fold Tabletop Vanity Mirror w/ LED Lights when you use coupon code: SHESAVEDWITHBCP3225 at checkout. 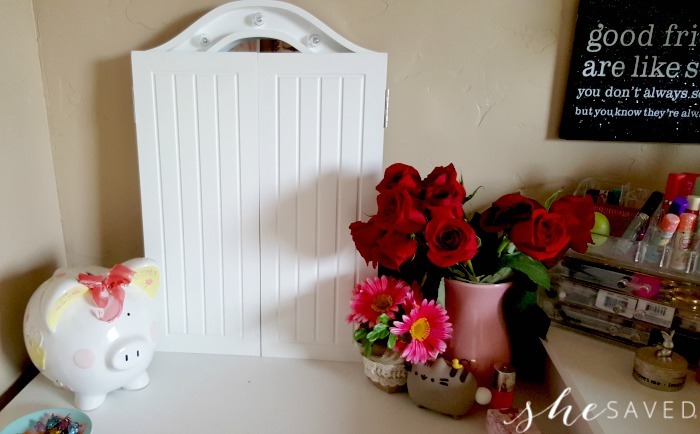 Even better, shipping is FREE which makes this darling vanity mirror under $40 shipped!! This offer is only good for one week, through November 20th, 2017 and you can use the coupon code as many times as you like. Such a practical gift that will get used all year long!! *I mentioned this deal earlier this month and I’m excited to share that the folks at BCP have agreed to extend it since so many of you emailed me that you missed it! 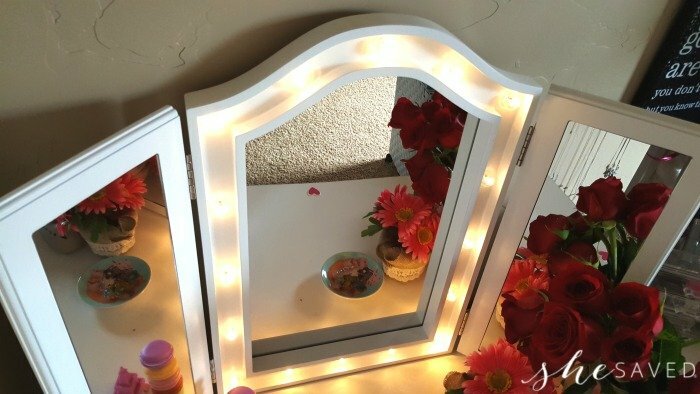 I’ve been searching for a tabletop vanity mirror for my daughter for some time now and the main issue has been that she REALLY wanted one with lights but it turns out, those are REALLY expensive. I was thrilled to find this Tri-Fold Tabletop Vanity Mirror w/ LED Lights on sale at Best Choice Products. I’ve been working with this brand for about a year now (you might remember my review of their Outdoor Patio Furniture Set) so I reached out to them to inquire about partnering with me on sharing this product with you and I am so happy to share that they are giving She Saved readers a very nice discount on this mirror! Isn’t this mirror the cutest? I love how if folds up (see above) and it’s battery operated, so it’s very easy for my 10 year old to use. It’s lightweight and you could hang it on the wall or you can rest is on a desk like we did. I think that the reason I got so excited about this deal is that this is an item that I have searched high and low for and every time I found one that might work, it was either very cheaply made or very expensive. This is such a perfect find, and I love the price. This would also be wonderful for a guest bathroom, college student or even for a camper since the lights are run with batteries. 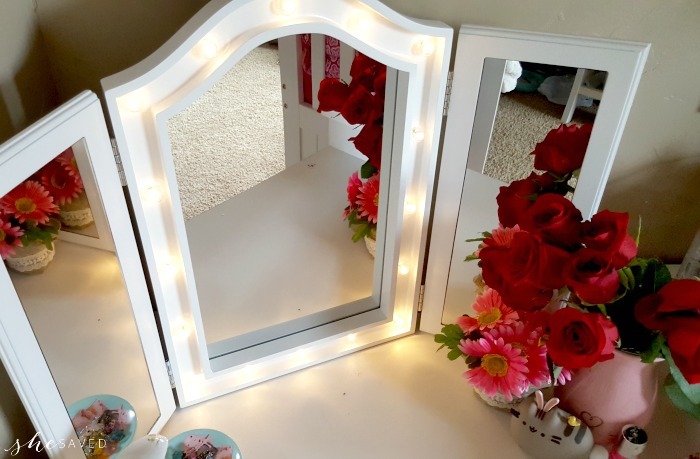 Go here to see this Tri-Fold Tabletop Vanity Mirror w/ LED Lights and remember to use coupon code: SHESAVEDWITHBCP3225 to get $10 off making it only $39.95 shipped! Expires November 20th, 2017. « Blanket Scarves for $10 each (wyb 2) + FREE Shipping!